Home Hoof Trimming What In The World Is The F Balance? 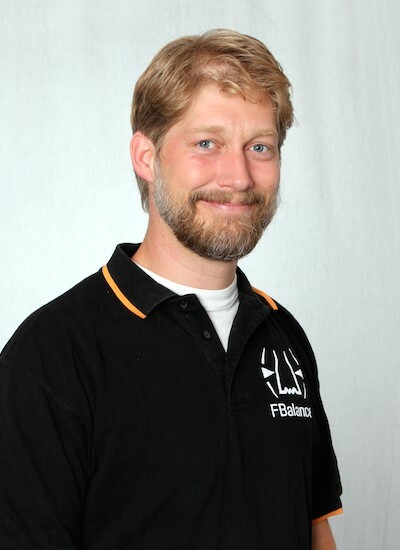 What In The World Is The F Balance? 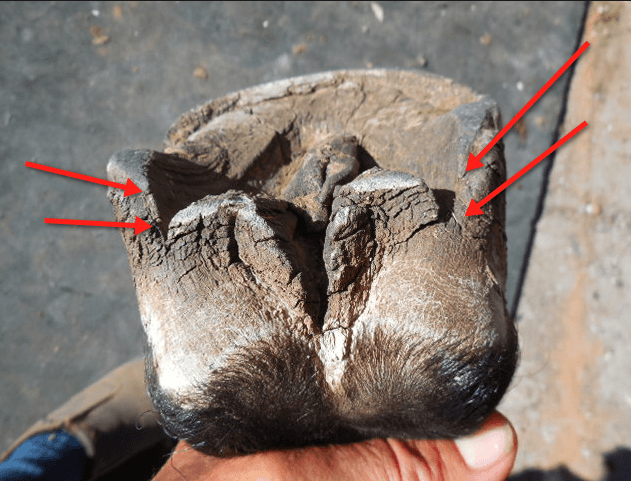 What is the difference between the length and the height of a hoof's heel? The photo below illustrates it. The yellow arrow shows the height, the red arrow shows the length of the heel. So, why would that be of any significance, one might ask? In last month's blog, Floating The Heel, I discussed Medial/Lateral Balance and trimming to the same heel length medially and laterally. For this blog, I took a few more photos to illustrate how to identify the correct heel length just by observing the untrimmed heels and looking for cues. 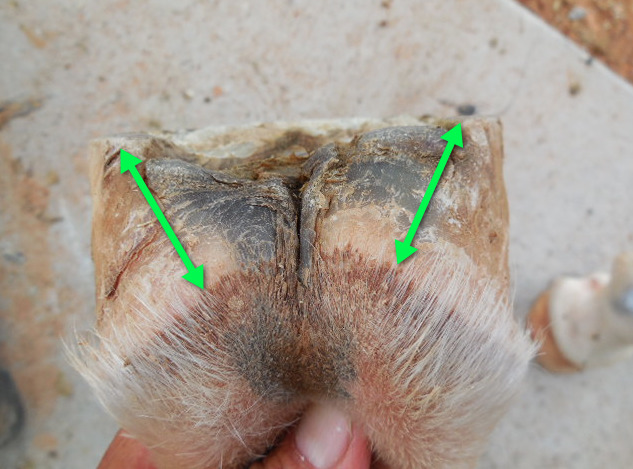 The hooves in the following images had not been trimmed for over 10 weeks. They will therefore give us good examples in our discussion. Often we have heard the advice to trim the heels to the widest part of the frog. That is the ideal, true enough, but In reality, it is not always possible. Therefore, different and additional parameters would be helpful in heel trimming. 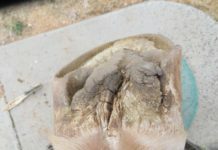 In these photos, we are looking for certain cues, or markers, in the heel area, that tell us how much of the heel we should trim. 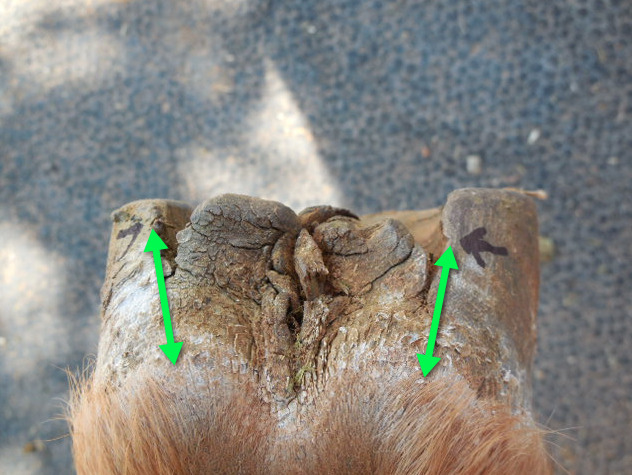 The hoof actually gives us these hints in terms of small dents, breaks, change in direction, waves etc. Sometimes these markers are tiny and we need to train our eyes to recognize them. In the images below, though, these cues are more distinct and easier to identify. The red arrows pointing to the visible breaks or marker points, the cues, in the heel area. Not only can we see here the distinct mark and break in the heel, but also a direction change at the break point. Green arrows show that change in direction. Another example below. Here, the break points are carrying over into the bars and we can also see how far the bars are asking to be trimmed back to. The side view below shows three different cues or break points. We will trim step by step after identifying where the live sole lives. Most likely we will end up trimming to the third or highest marker, closest to the heel bulb. In the next image, we can observe four markers on both heels. I've used yellow arrows for a change. Another interesting specimen below. Notice the 2 markers. Most likely the second marker will be the one we end up trimming the heels to. But not before we are checking for the live sole. A little different scenario in the next photos. This image shows us clearly two different marker points in the heels, the left side (lateral) is shorter compared to the right side (medial). 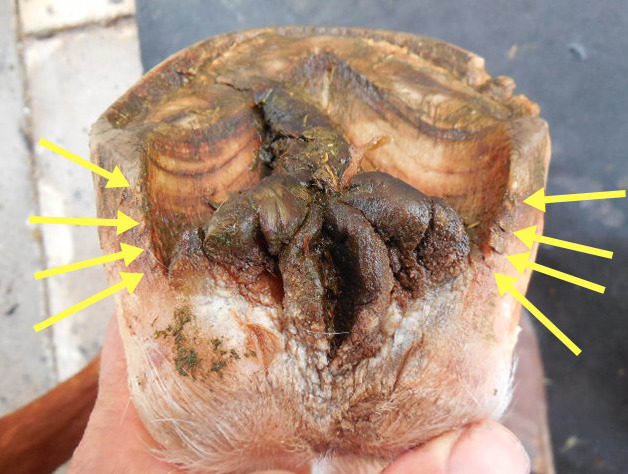 The medial side has seen more hoof growth. If we follow the markers and trim to their indicated length, we achieve even heel length, indicated by the green arrows. Remember, we measure the heel length in the direction of the heel to the coronet band, or hairline, in the bulbs. Notice also how the hairline is pushed up on the medial side, a result of M/L imbalance. On the next image, the previous trim has been only three weeks ago. 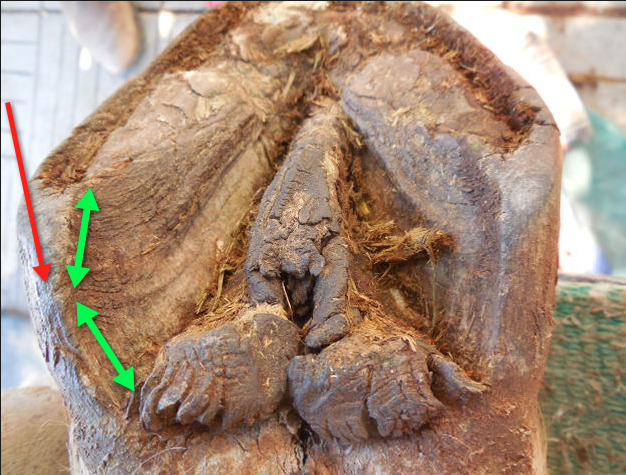 We can see a marker on the left (lateral) side of the hoof, (red arrow). 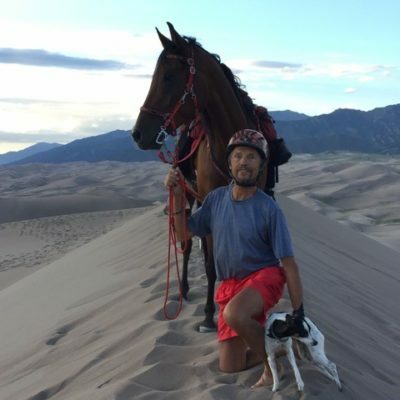 For that horse, the lateral side has grown more. 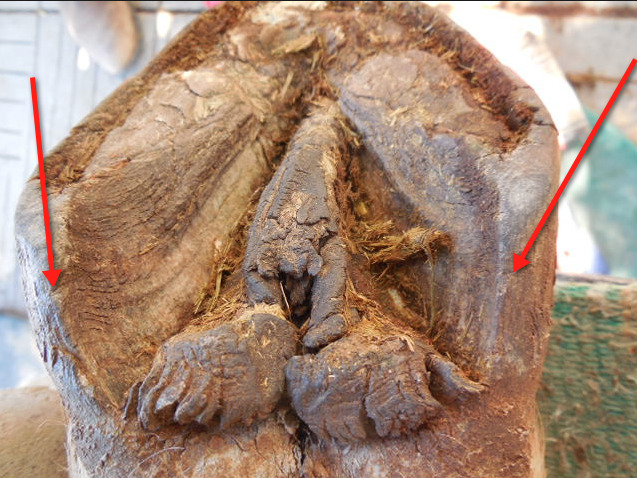 The medial side, in this photo the right side, does not need to get trimmed. 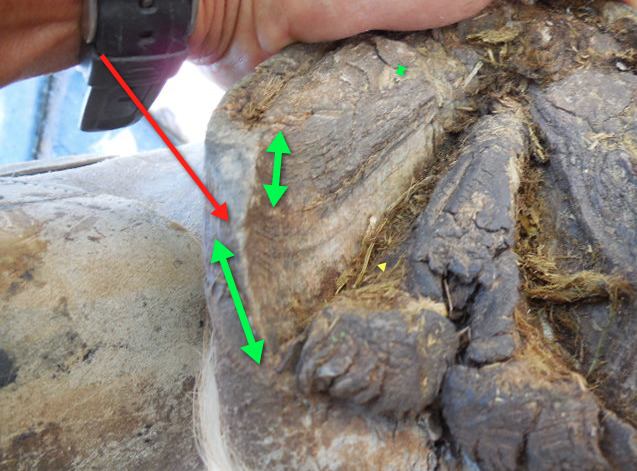 When measuring the distance from the marker to the hairline, we see that it is the same as the presently untrimmed medial side from the heel to the hairline (green arrows). After trimming to the marker in the photo below, both sides now have the same length. 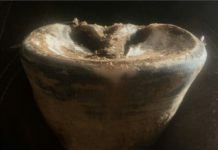 No trimming was done on the right side (medial). Now, where is that live sole I have been talking about? After identifying the visible break points or cues in the heel, we check for the live sole. When mapping out the sole, live sole is identified by the shiny appearance, versus the dead sole, which can be hard, cracked, flour like or whitish in appearance. When removing the dead, chalky sole in the heel area, we eventually will see the shiny, darker-looking live sole. – We will not cut in live sole. 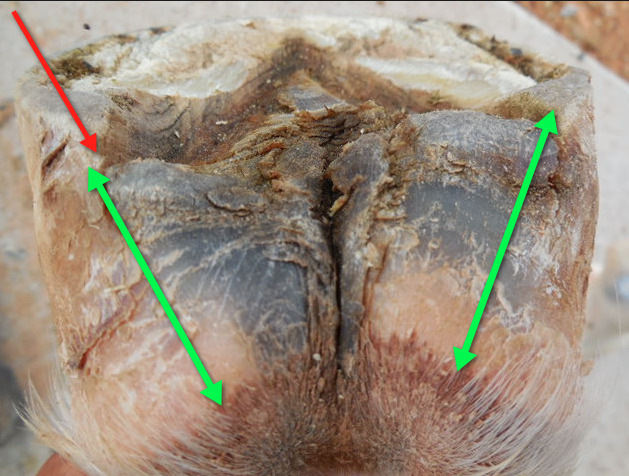 – Medial and lateral heel length are the same on both front hooves and on both hind hooves respectively. 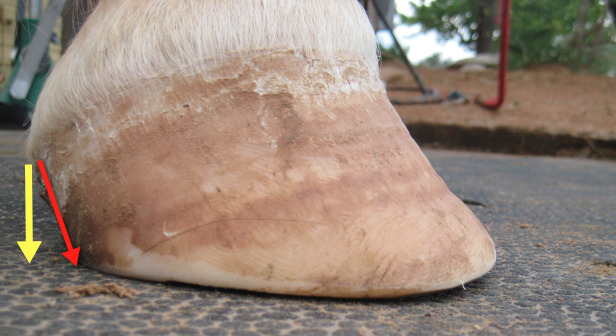 No matter whether you have symmetrical hooves or a high and low symptom, the heel length should always be constant. 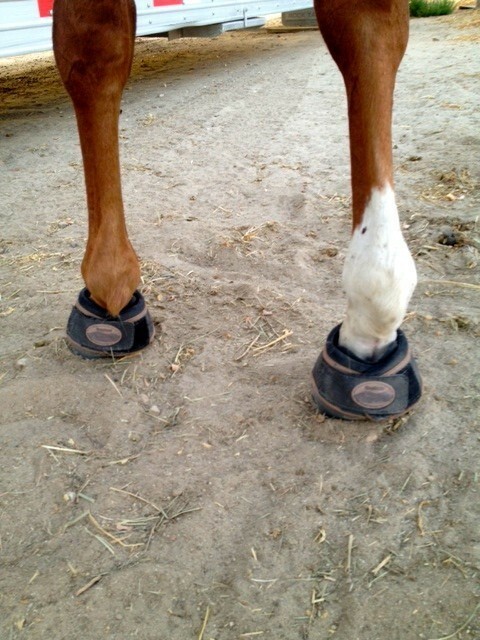 Medially and laterally as well as on the left and right hoof (not the heel height,however). And it will be if we are following the visible heel cues. 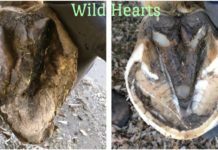 Whether you want to trim your heels and hoof walls to the level of the live sole or let it protrude 1/8th, 1/4th inch or more beyond the hoof wall, depends on your horse, the hoof, hoof wall, sole thickness, the ground surface the horse is being worked over and more factors. There is no right or wrong answer, that decision needs to be made for each and every horse individually. These interesting cues and much more is being taught by Daniel Anz and Stephan Stich during their worldwide seminars. 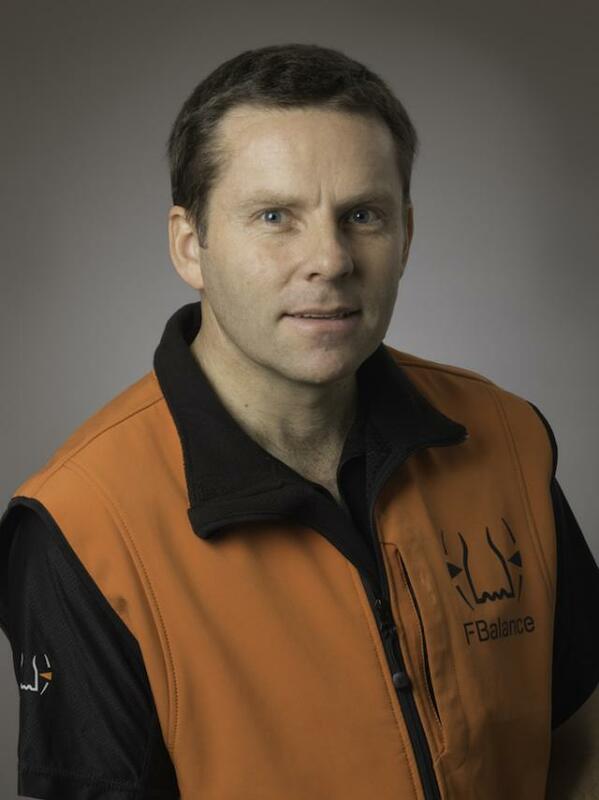 Both men have been studying the F Balance for many years and conducting educational and certification clinics for a number of years now. If interested, you might want to visit their website. 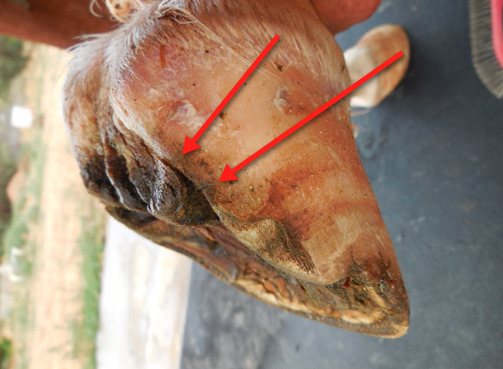 You will learn how to use the natural landmarks the hoof is showing us and recognizing the exact trimming lines. I was able to convince Daniel and Stefan to come and conduct a joint Education and Certification Clinic for the first time in the USA. In conjunction with Global Endurance Training Center the clinic will be held in the middle of November 2014. Details to follow on this website. You may also email me for more info. What About Trimming the Bars?